A sermon might only take 30 minutes to give, but a huge amount of time, prayer and hard work has gone into its preparation by the preacher. But do we listeners put in sufficient effort before, during and after the sermon to listen properly to what God is saying to us through the preacher? Here are some tips on how to make the most of the Sunday sermons at IBC. If you have any other tips, why not leave a comment on the left-hand side? Take some time out on Saturday night (or Sunday morning) to read the sermon text. 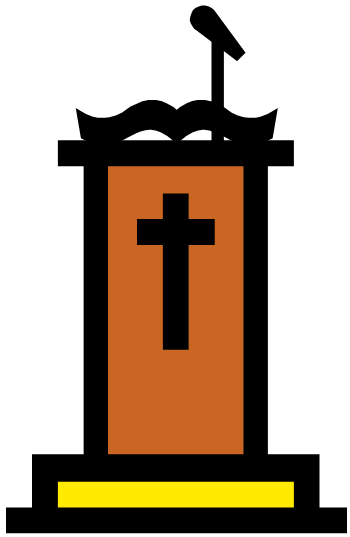 From now on, the sermon text and theme will be put on the IBC website (under Sermons > month) by Friday prior to the Sunday worship service. Consider what the text is saying and write down any questions you have. Pray and ask God to give you ears to hear the Word preached, a mind to understand, and a heart to apply it. Pray for the preacher, that he would preach strongly and clearly. Make a conscious decision before the sermon begins to really focus on the preacher and listen to the Word being preached. Take notes to concentrate better – the key Bible verses, the points which you found most helpful, other questions that come to mind, or ideas how to apply it. If you find yourself getting distracted, consciously put those thoughts aside and ask the Lord to help you focus. Later on Sunday or in the following days, think about the sermon and reflect upon what’s been said. Listen to it again on the IBC website. Discuss the sermon with your friends or in your homegroup. (We will soon be printing study questions in the Sunday Bulletin and on the website under Sermons > month). If you know someone who wasn’t in church, maybe because of illness or travel, why not give him or her a phone call and briefly explain what the sermon was about and what you learned from it. Pray and ask God to help you put the sermon into practice. Do you still have a question about the sermon? Why not email the pastor or give him a quick call? I’m sure he would love to know you’ve been considering the text and the sermon. These are just a few ideas. If you can think of others, please leave a comment. Previous Post Our Interim Pastor is here!